I'm an author, inspirational speaker, and adventurer with a powerful story that inspires others to overcome obstacles and live an adventurous life. Although I hang my hat in Florida, I'm never home for long, seeking other adventures and finding unique ways to tap into the power of perspective. My speaking style is down-to-earth with just the right dose of sassy humor and wisdom. Set Your GPS on Happiness – Where Will Your GPS Take You? To witness me in action, here's a "Take Your Life and Business to the Next Level by Adding Adventure"
Get more up close and personal with me, by checking out these features: CBS Miami, O Magazine, WBZ Boston, The Mighty, Guideposts, and Sun Sentinel. "Insightful and inspiring describes Heidi. Your audience will be completely engaged and follow along effortlessly on her journey through life's adventures. You will feel sad, encouraged and happy, leaving with some tools to help you through your challenges." 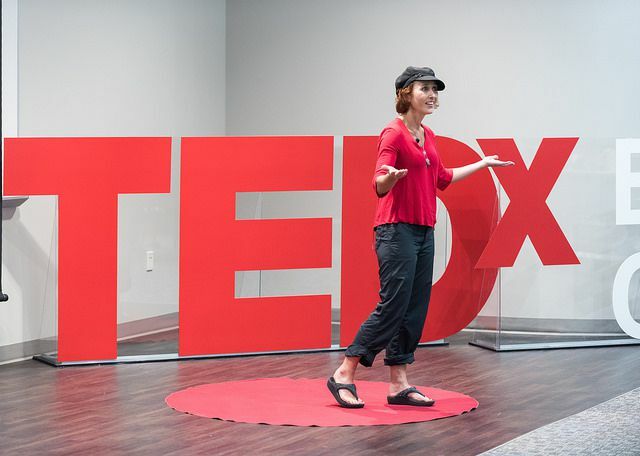 "Heidi Siefkas is a dynamic speaker with a unique ability to take a traumatic life event and create a positive light that she shares genuinely with her audience. Her interactive approach allows her audience to connect with her message." "Heidi's compelling story pulls the audience right in. She delivered an inspirational and interactive presentation." To schedule an event, adventure, or other with me, please email heidi@heidisiefkas.com with the details of the event, including dates, where, audience, goals, and your why. In the meantime, you may want to grab copies of my books in print, ebook, and audio. I look forward to being a part of your event and its featured motivational speaker.